Observation - Green Woodpecker - UK and Ireland. 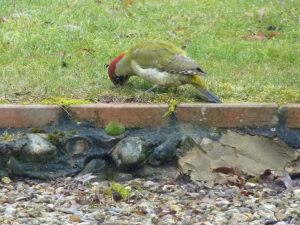 Description: Green woodpecker feeding on ants in our lawn. Very pleased to see one back. Green woodpecker feeding on ants in our lawn. Very pleased to see one back.